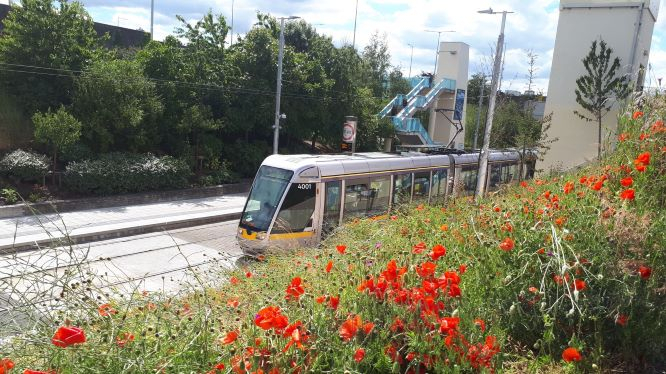 Transdev Ireland focuses on increasing public and staff usage of sustainable transport options and channels of information, the objective being to involve our core stakeholders in the effort to make Dublin a more environmentally-friendly city. For this purpose, we developed new digital channels, such as the Luas Mobile Website, m.luas.ie, and the Luas app, and developed our activity on social media platforms. Transdev Ireland- in co-operation with the RPA (now TII)- and Transdev Group developed the Luas Eco-Calculator, an online tool allowing Luas passengers to calculate how much CO2 they are saving by taking a trip on Luas instead of a private car.